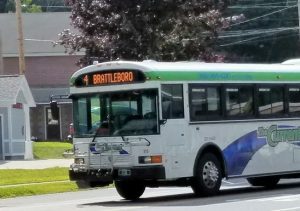 Brattleboro’s bus service, operated by The Current (formerly Connecticut River Transit, formerly the BeeLine), is seeking input on their proposed bus schedules here in Brattleboro. This is the second round of input – you may recall that The Current surveyed the public this time last year in round one of schedule planning. If you ride the bus, and even if you don’t, The Current bus service would like to hear from you. This is the first real update to the Brattleboro bus service since 2012. You can complete the survey online through August 3 (or on paper by getting a survey from a bus driver, or from the Brattleboro Chamber of Commerce if you’re not currently, ahem, a rider). The survey page provides full information about the proposed schedule changes including new route maps, schedules, and other info. This second round of public input is to solicit comment on the draft schedules. Similar to the first round of outreach, surveys will be solicited from riders, non-riders, and businesses. Staff will also meet with Town Manager Peter Elwell and the Brattleboro Select Board. The second round of surveys will run from July 5-August 3. VTrans and the SEVT Board of Directors will approve final changes based on the second round of public input, and will start designing the new route schedule brochure. It will be mailed to everyone in Brattleboro and West Brattleboro, and will give riders a three-week notice before it goes into effect hopefully around October 8th. “The new schedule features many improvements and efficiencies based on the first round of input. We hope that it will improve our riders’ ability to reach their jobs, shopping, and medical appointments” said Rebecca Gagnon, Current General Manager. “What we have tried to design is to simplify the schedule, minimize transfers, reduce duplication, fill in gaps, and make the system more user friendly.” Gagnon also said that fares will remain at $1 per ride. 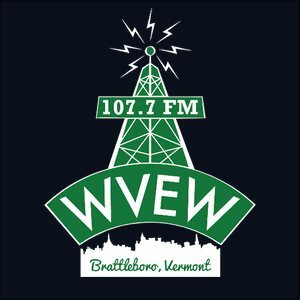 The schedule changes include all of the three lines currently operated in Brattleboro: the Red Line (Western Ave to West Brattleboro, Westgate to PriceChopper), the White Line (Putney Rd all the way to the Cotton Mill), and the Blue Line (Parking Garage downtown to Walmart and Hinsdale). Full disclosure: The author of this post provides paid web support for The Current bus service.